For the fourth day of our Windows Vista countdown, we thought we'd explain a bit more about the different versions of the new operating system. Vista comes in four main versions; Home Basic, Home Premium, Business and Ultimate. There are actually more versions than this as we'll explain, but it's important to define the difference between these different versions first. Bear in mind that Microsoft actually hasn't released UK pricing for each edition yet, so the prices here were shown at Amazon.co.uk but have since been withdrawn. Vista Home Basic Edition £179.99 The cheapest package is pretty limiting. It's intended for basic home needs such as email and Internet access so there's no snazzy Aero interface plus no Media Center. It'll probably be worth avoiding this one. Vista Home Premium Edition, £219.99 The one most of us will end up using. With Media Center and full graphical abilities it's designed for entertainment. It also includes most of the mobile computing enhancements, so if you get a home laptop this is what you'll probably get. Vista Business Edition £289.99 For smaller organisations, this version replaces Windows XP Professional and includes Tablet PC functionality. Vista Ultimate Edition, £369.99 This is the most complete edition of the new operating system that combine Business and Enterprise elements with the entertainment aspects of Home Premium. Each edition also has upgrade versions - for Home Premium, that's £149, for Ultimate, it's £249. These are boxed products just like the full versions so you can upgrade to Vista from an XP installation. There are also a couple of other editions, too. 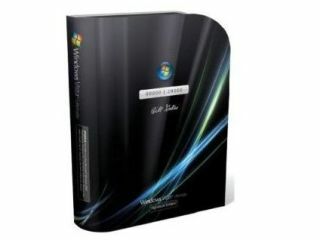 One is for large business deployment, Windows Vista Enterprise, while there's even a special version of the Ultimate Edition, called the Ultimate Signature Edition . It's limited to 20,000 copies, costs $20 more than standard Ultimate and each has Bill Gates' signature on the outside of the box. Our sister magazine PC Answers also shows how you can save on Vista by buying an OEM version of Windows XP Home with a free Vista upgrade.